Scrap & Play : Welcome to Scrap & Play! Hi and welcome! My name is Tammi Bennett and I am so excited to start this new adventure of Scrap & Play! I have been scrapping for many, many years. I am the founder of the online scrapbook site, My Scraps & More, but recently sold it because of some major life changes. Since then, I have had more time to explore the online scrapbook world and have fallen in love with scrapbook challenges. I love the inspiration they give to create a page along with the exciting opportunities of winning prizes! I hope combining my love of scrapbook challenges and prize giveaways will make Scrap & Play a fun and inspiration-filled site you will look forward to visiting day after day! - A new challenge will be posted on the 1st and 15th of each month. The challenges will be a fun mix of sketches, word plays, color combos etc. - You will be able to enter your project via the link tool on the sidebar of the blog. Only traditional layouts will be allowed unless the challenge states otherwise. - Once a month a winner will be chosen from the participates randomly using random.org and will have 7 days to claim their prize before it is forfeited. - The design team will share their creations with you for every new challenge issued. ...some of the brand New Basic Grey Capture along with some misc. embellishments to match. Fun.Fun stuff!!!! I will chose a random winner of this scrappy giveaway on April 30th, right before our first challenge coming in May!!! In the meantime, look for a design team call from me very VERY soon!!! Just became a follower Tammi and going to go post about this on my blog and also link the site to page 2 on my blog which is where I list all the challenge sites I know about and enjoy. I can't wait to see the first challenge. I'll be out of town on the first but will be home before the 15th so hope to jump right into the fun. Good luck with your new challenge blog, Tammi! I am now a follower and can't wait to see what you have in store for us! I will also post about it on my blog. I'm a new follower and excited to see another fun challenge blog in the making! :) Off to spread the word! I am a new follower and look forward to seeing what you have in store for us! I'm now a follower! Looking forward to your challenges. should be great fun.. best of luck on your new adventure..
Love scrappy challenge blogs...the more the merrier! I look forward to seeing what fun challenges you bring for us and how your new adventure evolves. Congrats on this exciting new step!! Tammi how fun that you are doing this! I'm a new follower! Looking forward to your challenges. I'm following and excited to see the challenges! 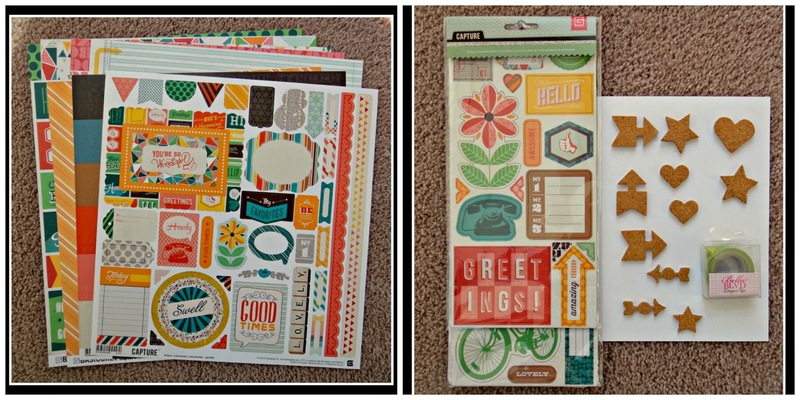 Thanks so much for creating a fun way to get more scrapping done!!! Congratulations Tammi! Looking forward to the new challenges and inspiration! Wishing Scrap and Play much success! I'm following! Can't wait to see what wonderful challenges you will have! I'm following! Looking forward to more challenges from you! I'm following! Can't wait to see what you have planned! Congratulations and best of luck! I'll definitely be following you! How exciting! I am following you and can't wait to read more.. So excited to find a new challenge blog. Used to participate in several but I've not done that for a good while. Looking forward to this. I am now following your blog. I too love challenge blogs. I'm a follower now and can't wait to see what's to come! I'm a follower! I love a good challenge! Following you :) This looks exciting! Congrats! Sounds like fun, I am in! I have missed you at MSAM. Glad to see you back and with a fun challenge blog! How exciting Tammi!! I posted on my blog and on Facebook. Been a while since I have been on a scrapbook challenge site. Am looking forward to this one. I'm your newest follower!! Can't wait to play along with your challenges Tammi. Great blog! Following along - I hope international players will be welcome :) Good luck with your venture. Congrats!! Can't wait to see your challenges. I'm so excited for you, Tammi! Good luck with the new venture! Very exciting Tammi!! Looking forward to seeing what challenges you bring!! Love a good challenge blog. Congrats Tammi. Oooh, awesome! I love challenge blogs. Can't wait to play! Love challenge blogs and can't wait to play! How fun! Can't wait for the first challenge! This will be fun! Following you & looking forward to your challenges! This is great! I can't wait to see what blooms. :) And thanks for the chance at winning, too. How fun! I am following! Sounds great! Can't wait for the first challenge! Yeah for starting this up, Tammi. Sounds like so much fun! Wow this sounds amazing!!! I love it so many challenges are single page which just isn't realistic :) Can't wait to play. So exciting. I just followed and am excited to see the first challenge! Congrats on your new blog! Following and can't wait to see what you have in store forus! congrats on the challenge blog! so excited to see what you come up with. I am now a follower! How fun! You leave one adventure (my scraps) and start another!! Yeah. Looking forward to the fun challenges & inspiration! Sounds like fun! I always love challenges to get me creating! Good luck in your new adventure, can't wait to see what you come up with. Looks like I found you just in time. I'm a new follower.